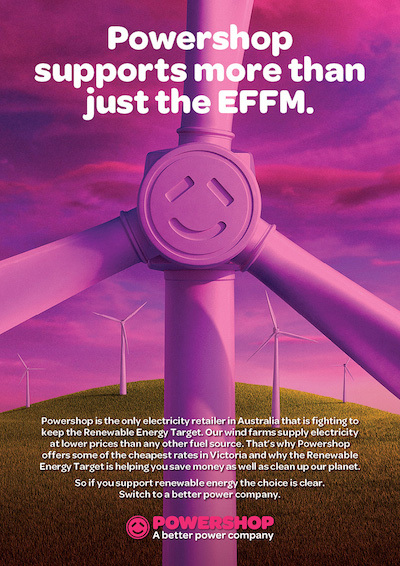 Powershop – ranked greenest energy retailer in Australia by Greenpeace’s Green Electricity Index, and GetUp! – Australia’s leading campaigning organisation, are proud to be principal partners of this year’s Environmental Film Festival Melbourne. The Environmental Film Festival Melbourne entertains with groundbreaking films, traversing the relationship between humans and their environments, challenging the way people think about the natural world and inspiring them to discuss, explore and act on important environmental issues. This week, Powershop will be giving away double passes to the festival on Twitter. Be sure to follow @PowershopAus on twitter below to keep an eye on when the competition starts. Read previous: What does Powershop going carbon neutral mean?